Whenever several people live together under the same roof, it takes effort to create an environment that is acceptable and comfortable for everyone. 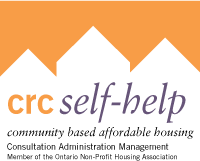 The majority of CRC Self Help ’s houses have five residents or less, while a few houses have up to nine individuals. Residents rent a unit (bedroom) within the house and share common spaces with their housemates. Each unit comes equipped with a bed, fridge, dresser and/or closet. Rooming houses come equip with small cooktop unit. The common areas of the house include a living room, kitchen, one or two bathrooms, a basement, and backyard. Many houses also have front porches. 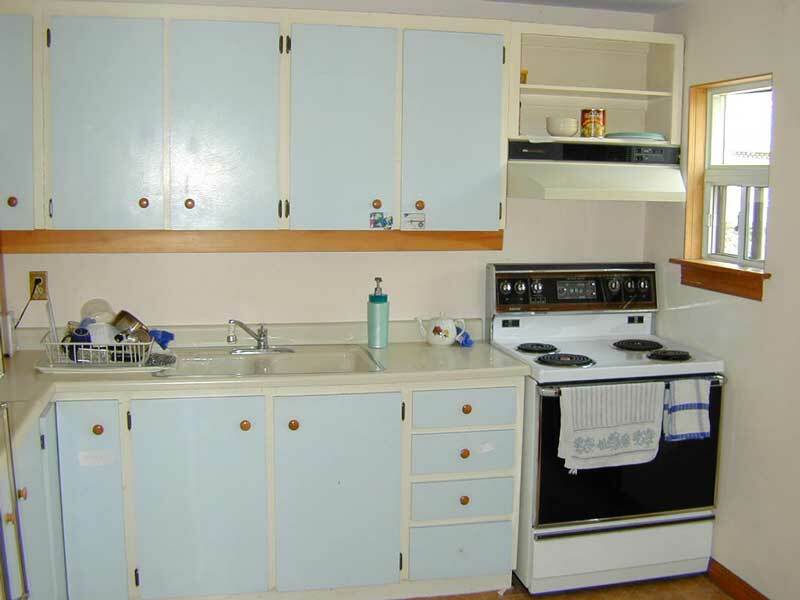 The kitchen is equipped with a fridge and a stove; each property is equipped with coin-operated laundry machines. Successfully figuring out how four to nine people will share these common spaces and appliances requires residents to commit to the group decision-making process and to follow CRC Self Help policies. CRC Self Help has developed a Resident Handbook that is available to all tenants which outlines responsibilities and expectations of both tenant and CRC Self Help in turn. Please contact your housing worker for your copy. Keys – As outlined in the lease agreement residents are not permitted to duplicate keys or give copies of their keys to individuals who do not reside in the house as doing so puts the other residents at risk. 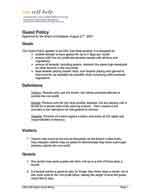 See lease agreement. treat tenants paying market rents, and tenants paying rent geared to their income, as equitably as possible while complying with provincial regulations. Visitors: Persons who visit the tenant, but whose principal address is outside the non-profit. Guests: Persons who do not have another address, but are staying with a tenant for a limited time while seeking a home. Their income is not included in the calculation of rent-geared-to-income. Tenants: Persons who have signed a lease, and enjoy all the rights and responsibilities of tenancy. Visitors may come to the unit as frequently as the tenant invites them. Very frequent visitors may be asked to demonstrate they have a principal address outside the non-profit. Any tenant may invite guests into their unit up to a limit of three days a month. If a tenant wishes a guest to stay for longer than three days a month, he or she must write to the non-profit office, stating the length of time the guest would like to stay. 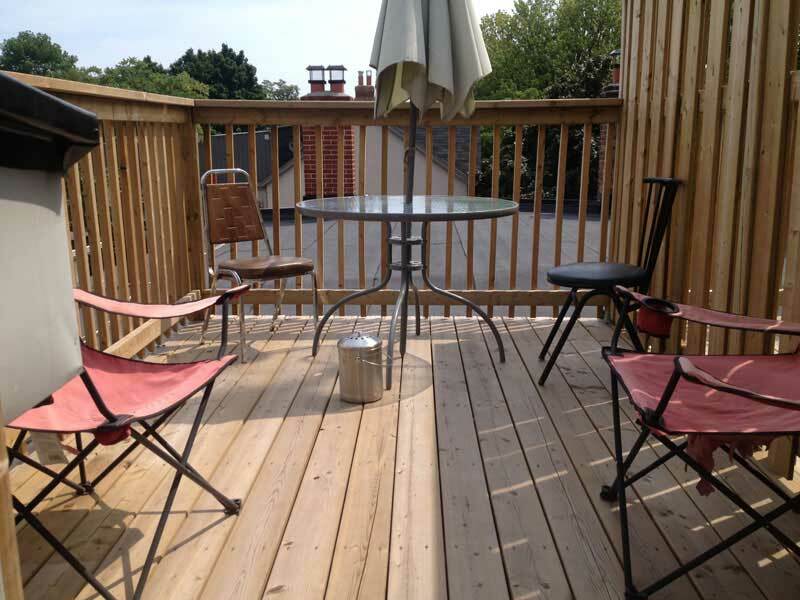 • staff or tenants have complained about the guests behaviour, and those complaints have been found valid. At the end of the term, the Housing Worker will check to ensure the guest has left. If a guest continues to stay in the unit without the non-profit’s permission, the non-profit will cut off the household’s rent subsidy with 90 days notice. The tenant has the right to ask for a review of this decision. At all times, tenants are responsible for the behaviour of their guests. Should the tenant move out of the unit, any existing guest must also move out. Any guests staying in the unit after the lease-holding tenant moves out will be removed. The housing worker will phone the tenant to ask for clarification. A letter should be sent if a phone call does not receive a response. If it is established there is a new person living in the unit (i.e. a person who has no other address, and no plans or prospects to move out) the occupant must apply to become a tenant (following the steps above). If the tenant denies there is another occupant, or the situation is unclear, then the housing worker will prepare a statement to be signed by the tenant, confirming their denial of the original allegations. 1. Tenants are responsible for their guests at all times while on the premises of the houses. The Transfer Policy applies to any CRC Self-Help tenant who wants to move from one CRC Self-Help unit to another, either within the existing house or to another CRCSHI property. Allow a CRC Self Help tenant to move from one unit to another. Give priority to a tenant with seniority and in good standing, an opportunity to move to a different or larger unit. Balance the needs of a CRC Self Help tenant with the needs of a new applicant. Any tenant in good standing may ask for a transfer. They have been in their current unit for a minimum of at least six consecutive months. They have not been given an eviction notice, within a 12 month period. They are not in arrears. They have paid their rent on or before the first of the month consecutively for a 12 month period. They have no history of damaging the unit, disturbing or harassing tenants, staff/volunteers and/or neighbours. They have paid and/or repaired damages caused by the tenant or their guests, prior to the transfer request. There are no arrears, for a year. No late payments, within the last year. No N4’s, Mediated agreements, N5s, N6s and N7s on the tenant’s file. All damage payments have been paid in full. All information on the tenant’s history must be given prior to the move. A Priority Move is defined as those tenants who in the opinion of the CRC Self Help need to move as quickly as possible and will be housed ahead of the other tenants on the CRC Self Help Transfer List. A tenant leaving a situation of abuse or harassment. (See Policy on Abuse). A tenant currently in dry housing who needs to move to responsibly wet housing (See Policy on Responsibly Wet and Dry Housing). A tenant currently residing in a responsibly wet house, who has demonstrated a desire to abstain (See Policy on Abstinence) and who needs to move to dry house. A tenant who is under a peace bond between themselves and another individual(s) that are residing in the same CRC Self Help properties. A tenant whose probation dictates that they must reside in different location from a tenant with whom they are currently residing. An internal transfer is a transfer that occurs within the same C.R.C. Self-Help house where the tenant is residing at the time of the request for transfer. A tenant will be made aware of vacancies within their houses. A tenant will request a transfer application form from their housing worker if they desire an internal transfer. (Only a tenant in good standing will be eligible for a transfer, see ”Eligibility”). (Applications forms will only made available when a vacancy occurs). 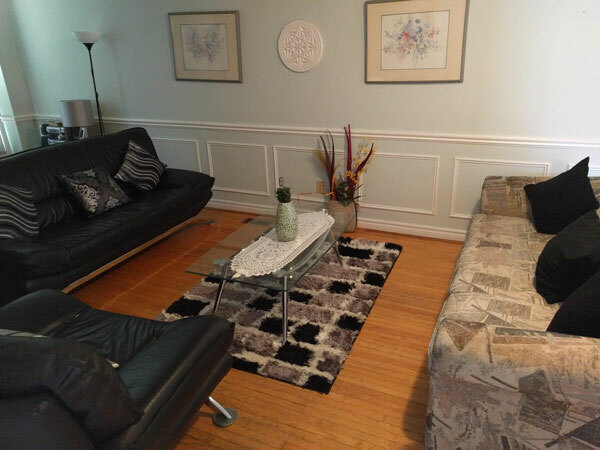 Priority will be given to a tenant who has seniority. After being informed of a unit’s availability, all tenants who would like to be considered for the vacant unit, (including those with seniority), will give their housing worker a completed transfer request form within a week, of that availability. If a tenant has been approved for a transfer, the housing worker will meet with the tenant to complete a new tenancy forms (tenancy agreement, waiver of responsibility and house rules) and discuss the transfer date. If the tenant seeking a transfer is refused a transfer by the members of another household, the tenant has the right to appeal the decision through our Appeal Procedure. (See Appeal Procedure). An External Transfer is a move by a tenant currently residing in CRC Self Help housing into another CRC Self Help House. Tenants will speak to their housing workers if they desire an external transfer. (Only tenants in good standing will be eligible for a transfer, see above). If a tenant is eligible for an external transfer, the housing worker will place their name on CRC Self Help transfer waiting list. (See attached Transfer Requisition form). The housing worker will inform the other housing workers of the tenants’ request. The tenant will then follow the house interview procedures. Housing transfers take precedence over placements. If a tenant has been approved for a transfer, the housing worker will meet with the tenant to complete a new tenancy forms (tenancy agreement, waiver of responsibility and house rules) and discuss transfer date. If accepted, a tenant will be offered the unit and they have a week to move into the new unit (unless there are maintenance issues). A tenant is obligated to pay rent on the present unit, prior to the transfer-taking place. (Rent will be transfer from the old unit to the new unit). A tenant is obligated to return all CRC Self Help keys prior to moving out. A tenant must leave all CRC Self-Help contents behind in the old unit. It cannot be transferred to the new unit. (i.e. bed, bar fridge and dresser). 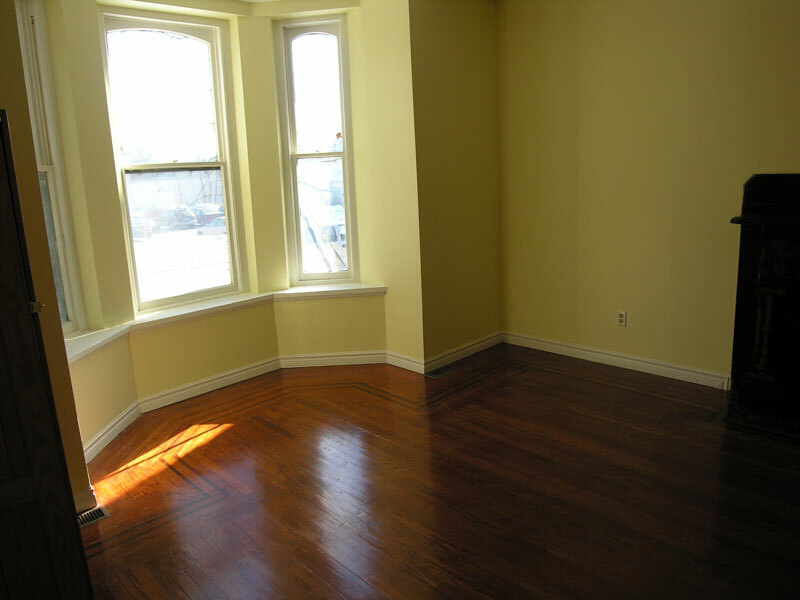 A tenant must put back the original CRC Self-Help bed in the unit prior to moving out. If a tenant has been offered a transfer and refuses it after the third refusal, a tenant will be placed at the end of the CRC Self Help Transfer Wait List and not be eligible until at least a full year has passed. If the member of a CRC Self Help house refuses a tenant a transfer, that tenant has a right to appeal (see Policy on Appeal). The Tenancy Review Committee will be comprised of three members. These members can consist of knowledgeable CRC Self Help Board members, volunteers and staff. The committee will not make decisions, which are contrary to the law, or clearly against the spirit or the intent of board-approved policies. It will, however, consider exceptional circumstances, which may not have been considered when the policies were made. The committee will use precedent in making its decisions, and will aim to treat all applicants and tenants equitably. The committee will also consider the impact of its decisions on the applicant, other tenants or applicants, on the CRC Self Help staff, and on the well-being of the CRC Self Help. A committee meeting will be scheduled every two weeks in the CRC Self Help meeting room. The meeting will be cancelled if there are no reviews. The Chair will notify all committee members. When the Housing Supervisor receives a written request for review, they will complete the Request for Review Form (attached), attach it to the applicant’s letter, and fax it, along with any documentation used to make the original decision, to the Chair. They will also make a copy for each committee member to be handed out at the meeting. The Housing Supervisor will also notify the applicant when their case will be heard. If applicants wish to appear before the committee, they will schedule their appearance at half-hour intervals, starting at 5:30 p.m. The committee will consider any requests for review submitted up to the proceeding Monday. The committee can consider whether to accept requests received late, or whether to defer the decision to the next meeting. The committee will normally operate by consensus. Applicants may bring a translator, family members, or friends of their choice. The Chair may limit the number of advocates at his/her discretion. The CRC Self Help staff member may also attend the meeting to present information. During and following the meeting, the Chair will complete a Decisions Form (attached) for each applicant, documenting the decisions made, and he reasons for the decision. These forms will be faxed or otherwise communicated to the Housing Supervisor the day after the meeting. The Housing Supervisor will inform the applicant of the decision within 5 business days of the meeting. They will also place one copy of the Decisions Form into the internal review file and one copy in the tenant’s file, if one exists. No individual involved in the original decision process will be allowed to sit on the Internal Review Committee. CRC Self Help collects a great deal of personal and sensitive information on tenants during the application process and throughout the duration of the tenancy. We also have personal information on staff, board members and volunteers. CRC Self Help must comply with the Federal Privacy Information Protection and Electronic Documents Act (PIPEDA), which applies to the standards for personal information with respect to commercial activity. CRC Self Help must also comply with the Social Housing Reform Act regulations that set the standards for the collection, use, disclosure and safeguarding of privacy of personal information and the individual right of access of their own information as it applies to rent-geared-to-income tenants. This policy meets the requirements of the Social Housing Reform Act and the Privacy Information Protection and Electronic Documents Act. The collection and storage of personal information should be treated in a manner that is respectful of the individual. The General Manager, Dr John Metson, is the Privacy Officer. He will be responsible for the organization’s compliance with all privacy legislation. Employee information including résumés, salary and benefits, disciplinary action, bank account information, tenant complaints about the individual, and problems between staff. Personal information does NOT include the name, position and business phone number of employees. Personal information does NOT include statistical data, which is summarized in such a way as to not identify any individuals. Business contact information and certain publicly-available information such as name, address and telephone number (as published in telephone directories) are not considered personal information. Staff must not seek out personal information about tenants or applicants unless it is relevant to their work. All staff and board members will be required to sign a confidentiality agreement. Applicant, tenant and employee files (including information on databases) must be safeguarded against unauthorized access. Applicant/tenant information and employee information must be stored in a locked filing cabinet. Secure storage facilities must be provided for archived applicant/tenant/employee and accounting information. Staff and members of the Board, where appropriate, should have access to records containing personal information only if required in order to fulfil their duties. When communicating tenant issues to the Board, staff should use non-identifying information as much as possible. For example, arrears report should use codes in place of the actual names of tenants. Databases containing files with personal information, and other confidential electronic files must be password protected against unauthorized access. Screen-savers or other protective action will be used to protect confidentiality of personal information on computer monitors. All staff have a responsibility to ensure that unauthorized individuals do not have unsupervised access to areas where files are kept and used. Personal information will be disposed of at the end of the required storage period for tenant records of 5 years after the tenant has moved out, and for financial records of 7 years after the end of the fiscal year. Paper-based personal information must be shredded prior to disposal. Electronic media must be purged prior to disposal. No personal information will be released to third parties without the written consent of the individual (for example: credit references, tenant or personal references). When responding to enquiries for references, staff should limit information provided to the questioner and confirm only the information already provided by the individual making the inquiry. It is not necessary to have a signed consent to release information to collect a debt, for example to a collection agency, or for an Ontario Rental Housing Tribunal or Small Claims action. Staff will take reasonable care to confirm the identity of the people to whom information is released. Funders and Auditor: The CRC Self Help, in order to be in compliance with funding program requirements, must release information to funders and auditors. People doing these jobs have their own professional code of ethics and are required to maintain confidentiality. Staff should confirm that the person concerned is seeking access legitimately. Access Centre: As part of its responsibilities to the Co-ordinated Access System, the CRC Self Help will provide the Access System with information about tenants who have left in arrears. This information will be used by the Co-ordinated Access System as part of their screening process for applicants for CRC Self Help housing. Researchers: Occasionally, CRC Self Help may be asked to assist a researcher who may be from an academic institution or who may be independent. Authorization for such people to have access to files will depend on their credentials and the nature of their research. The Board of Directors must approve all such requests for personal information. Credit Bureaus: Information on orders or judgements for money owing will be provided to any credit bureau of which the CRC Self Help is a member. Law Enforcement: While the CRC Self Help has a responsibility to protect the rights of applicants and tenants to privacy, this responsibility must be balanced with an obligation to the broader community. Law enforcement agencies requesting personal information about applicants, tenants, employees, board members or volunteers, will be required to provide a written request or “warrant” before information will be released. In the context of reporting criminal activity, staff with personal knowledge should report theft, damage or fraud. With respect to crimes against persons, witnesses are obligated to report and provide appropriate information to the police so that charges can be laid. Domestic violence is a criminal offence and should be reported to the police. To report suspected criminal activity. If there is good reason to believe that there is a drug problem or other illegal activity in the building, this should be reported to the police. Victims of crimes are responsible for reporting the crime directly to the police. However, if the victim is a child or a person with a disability that renders them incapable of making the decision to report, the legal responsibility lies with the CRC Self Help to report the crime to the Police or Children’s Aid Society, if it has relevant information. Health and Safety Officials: Personal information will be provided to outside agencies, individuals and institutions when it can be clearly identified as contributing to the applicant or tenant’s benefit, for example, information about an individual’s medical condition to the fire department. Next of Kin or Emergency Contacts: It may be appropriate to use personal information to contact a community service agency or a designated relative in exceptional circumstances, such as, when using an emergency contact provided by a tenant and held on file, or contacting medical support services when a tenant is unable to function and maintain his/her tenancy. The Privacy Officer will respond to all requests for access to or correction of personal information. An individual who provides satisfactory identification will be informed of the existence, use and disclosure of his or her personal information and will be given access to that information. The privacy of others’ personal information must be protected when giving an individual access to his or her own personal information. If the Privacy Officer believes that releasing personal information to an individual would prejudice the mental or physical health or security of any person, he or she will not release the information. An individual shall be able to challenge the accuracy and completeness of the information and have it amended as appropriate. If the Privacy Officer is not in agreement with the individual’s request for correction, a counter-statement will be filed with the original information. The Privacy Officer will respond to all complaints about collection, use, disclosure, storage and disposal of personal information within thirty days of the request being made, and advise the complainant as to the action that has been taken. Correction of personal information is necessary. Information was collected, used, released or disposed of inappropriately. The CRC Self Help’s policies and procedures need to be strengthened. Disciplinary or other action needs to be taken with respect to a breach of a confidentiality agreement. Where necessary, the Privacy Officer will make the necessary recommendations to the Board of Directors in connection with resolution of the complaint. Discuss any confidential information within or outside the organization where it may be heard by individuals who are not authorized to have access to that information. Provide confidential information or records to unauthorized individuals. Leave confidential information in written form or displayed on a computer terminal in a location where it may be viewed by unauthorized individuals. A breach of confidentiality may be grounds for staff to be disciplined or terminated. A breach of his or her confidentiality obligation may be grounds for a board member to be removed as a director of the corporation. A board member who breaches confidentiality may not be covered by the CRC Self Help’s insurance if he or she is sued for libel. As part of a commitment to delivering quality services to residents, CRC Self Help will implement a transparent, accessible resident complaint process. CRC Self Help expects that in the course of delivering services to residents there will be complaints made about these services or about the manner in which the services were delivered. CRC Self Help is committed to establishing processes to ensure these complaints are heard, the facts of the complaint established and where required, that remedial actions are undertaken. The resident complaint process applies to all CRC Self Help residents. The resident complaint process is not intended to replace the normal interactions that will occur between residents and staff and is not intended to be used prior to an issue first being raised at a house meeting or to the Facilitative Housing Worker. Only when all attempts to resolve issues locally are exhausted should these residents seek remedies as outlined in this process. The Facilitative Housing Worker is responsible and accountable for ensuring the physical repair of buildings and the health of their house communities. The Facilitative Housing Worker also has the authority and ability to decide the best solution for each circumstance. If the resident feels that the decision of the Facilitative Housing Worker is an unreasonable response on the part of CRC Self Help, they can appeal that decision to the CRC Self Help Director of Operations, as per the process outlined below. Create a process that supports the normal management structures of CRC Self Help and respects the authority and accountability of CRC Self Help Facilitative Housing Workers. Events and/or issues that may be an infringement on resident rights under legislation or CRC Self Help policies governing the conduct of staff and resident representatives, human rights and harassment. Resident informs Facilitative Housing Worker of the specific complaint. Complaint can be made in person at the house, in writing, by telephone or by email. The Facilitative Housing Worker will record the complaint. The housing worker will inform the Director of Operations within two business days of receiving the complaint. In the event a complaint cannot be satisfactorily resolved by the Facilitative Housing Worker, the resident can address the matter to the Director of Operations. Staff responsible for responding to the complaint will respond within 10 working days of receipt. In the event the complaint cannot be resolved, staff will inform the resident of the anticipated time it will take to resolve the complaint. In all cases, the resident will be informed of the outcome within 10 working days of the decision being made. Complaints about service delivery issues related directly to a Facilitative Housing Worker or a complaint related to human rights or harassment that involves a Facilitative Housing Worker can be filed with the Director of Operations. The Director of Operations will respond to the resident complaint within 10 working days of receiving the complaint. CRC Self Help is responsible for ensuring that residents have the ability to raise a complaint through an open and accessible process and to have it addressed in a timely manner. Residents have the right to quality property management services in a discrimination-free environment. Staff at the local level, building and/or community office, should have the opportunity to address a complaint about a service/decision they have applied. Facilitative Housing Workers are accountable for their houses and the decisions made within the houses and as such, are entitled to an opportunity to resolve or address the situation. Residents have the right to appeal a decision made by the Facilitative Housing Worker or CRC Self Help. Residents have the right to timely resolution of their complaint/appeal. Residents and staff will be informed of the process and the outcome of the complaint/appeal. Complaints and complaint resolution will be tracked and reported on, in line with other performance measures for the organization. Housing is one of life’s essentials. When a person doesn’t have a place to live, the focus is on survival, not improvement. By having a place to live, residents are in a better position to approach other aspects of their lives that they would like to give their attention. Sometimes unexpected life events or personal challenges can interfere with a resident’s ability to fulfill the responsibilities required to be met in order to sustain their housing. When a resident’s housing is at risk, CRC Self Help supports him/her in taking steps to prevent loss of housing. CRC Self Help is committed to keeping evictions to a minimum. Many people living in CRC Self Help have no other option for affordable, safe and secure housing. CRC Self Help recognizes this and commits to working with residents to ensure eviction is a last resort. A resident’s housing becomes at risk when a resident does not pay their rent on time and/or if a resident (or their guest) behaves in a manner that interferes with the reasonable enjoyment of the household, causes damage to their home, or undermines the safety and puts at risk either mentally or physically the other residents of the house. Reasonable and feasible arrears payment plans. If an arrears issue is brought before the Landlord and Tenant Board, CRC Self Help utilizes the services of the Board adjudicators in order to assist resident and CRC Self Help in resolution. If a resident’s conduct is disruptive to the house, CRC Self Help works with the resident to develop a housing plan that has attainable goals so that the resident maintains their housing. CRC Self Help offers mediation services for residents experiencing conflict with another house mate or if the house members collectively are disrupted by a resident’s individual behavior. Why should a resident co-operate with eviction prevention assistance? Access to safe, secure and affordable housing is difficult and usually involves a very long wait. It is in the resident’s best interest to co-operate with the assistance of CRC Self Help to avoid possible homelessness. As well, the approaches that CRC Self Help take to assist residents further empowers them to have control of their housing and learn life skills to maintain their housing. If a resident refuse to co-operate with attempts to assist him/her to keep their housing, an application to evict the resident will be submitted to the Landlord and Tenant Board. If a resident does not uphold agreements established to resolve the issue that is putting their housing at risk, the resident will be considered to be in violation of trust and an application to evict the resident will be submitted to the Landlord and Tenant Board. The housing worker is responsible for the follow-up on the legal work for the eviction. Sometimes, residents will be required to be part of the legal proceeding regarding an eviction in their house. If an eviction cannot be prevented, the Facilitative Housing Worker involved will work with the resident to coordinate the transition.